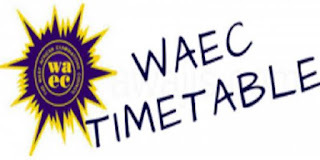 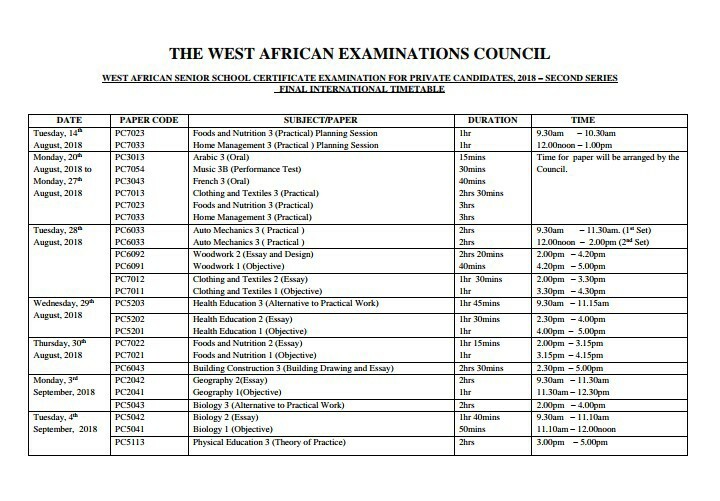 This is to inform the general public that the West African Examinations Council (WAEC) has released the 2018 West African Senior School Certificate Examination (WASSCE) timetable for private candidates, commonly referred to as WAEC GCE. 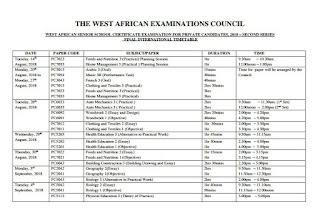 Candidates who have decided to participate in the examination are, therefore, advised to prepare before time and work according to the structure of the timetable in order to achieve good success. 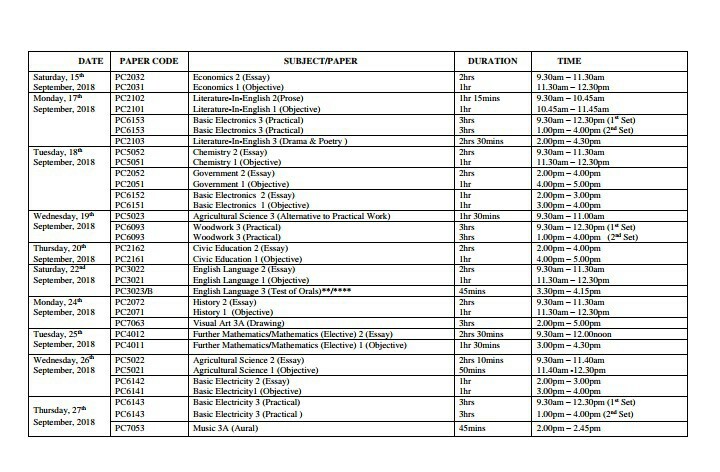 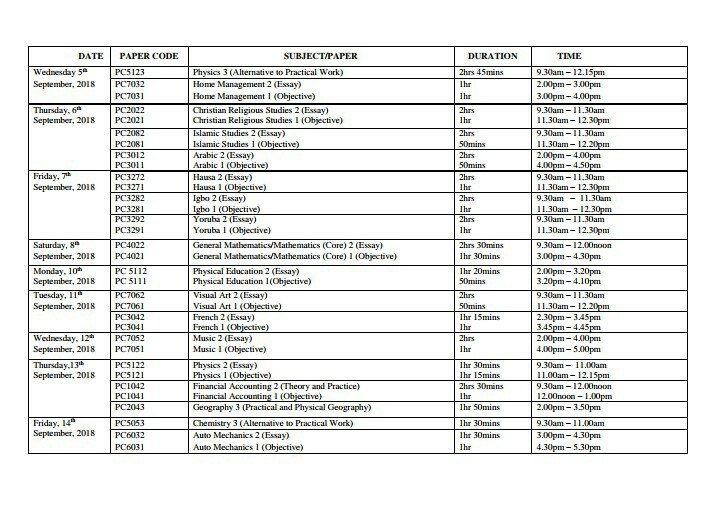 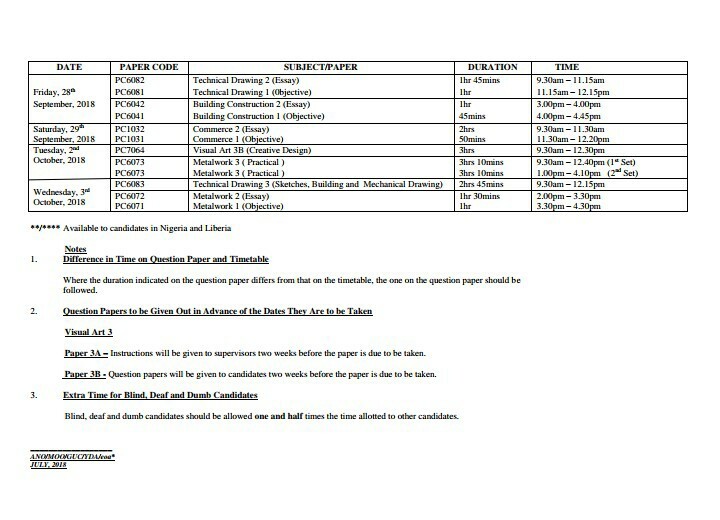 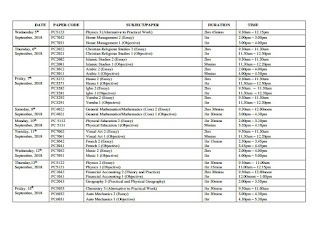 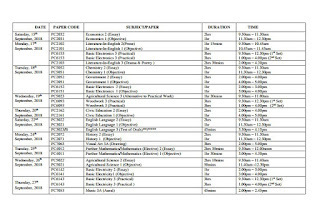 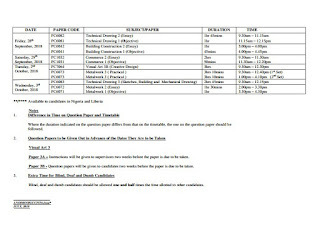 You can as well just view the timetable below.